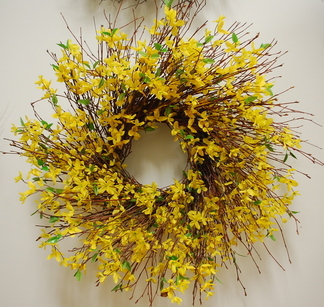 Home » Shop » Year Round Wreaths » Forsythia Wreath 27"
This gorgeous wreath is a must to bring life to your spring decor! It is made of northwest birch twigs and life-like silk forsythia foliage. It is the perfect thing for your front door or any wall in your home.